Plato is a polite bird dog who likes Hank despite Hank's obvious disdain for him. He is in love with Beulah and seems not to notice or care that Hank is constantly trying to court her. He also seems to be oblivious to Hank's avarice towards him. 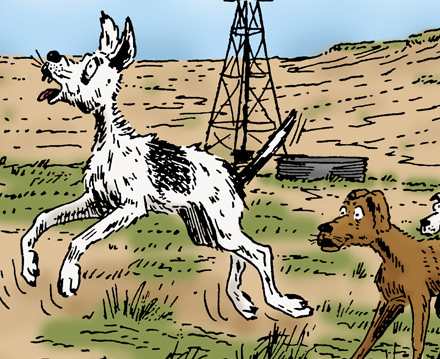 He has only very minor roles, except in The Case of the Missing Bird Dog and The Quest for the Great White Quail, in which he got lost and Hank had to find him.